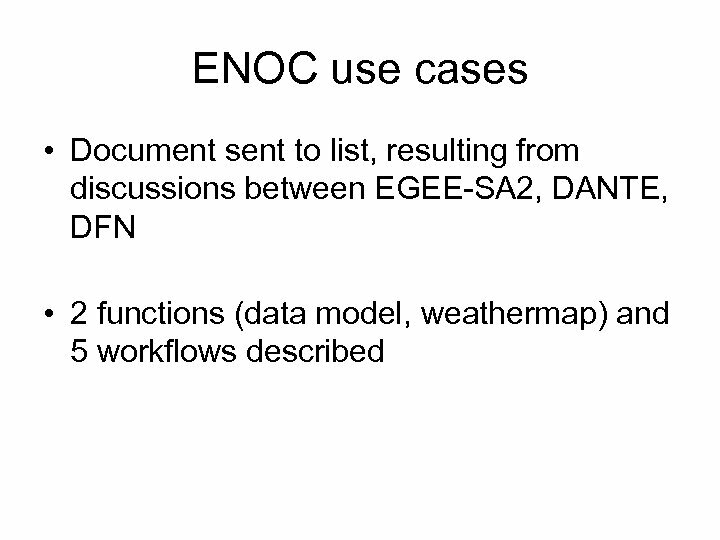 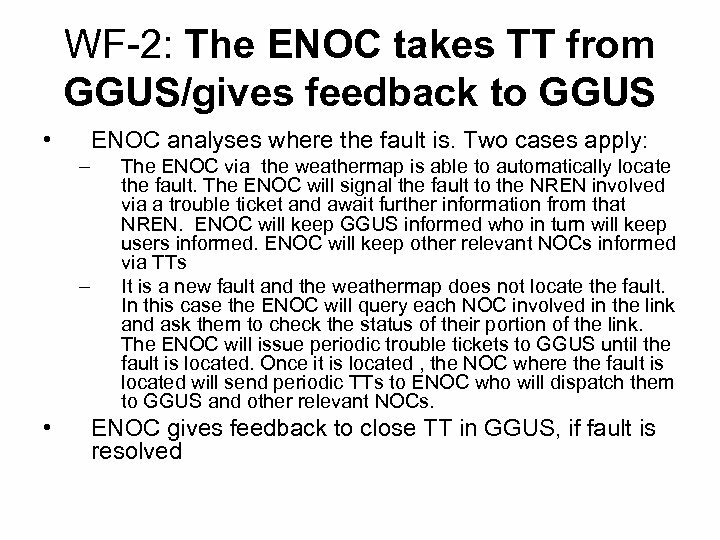 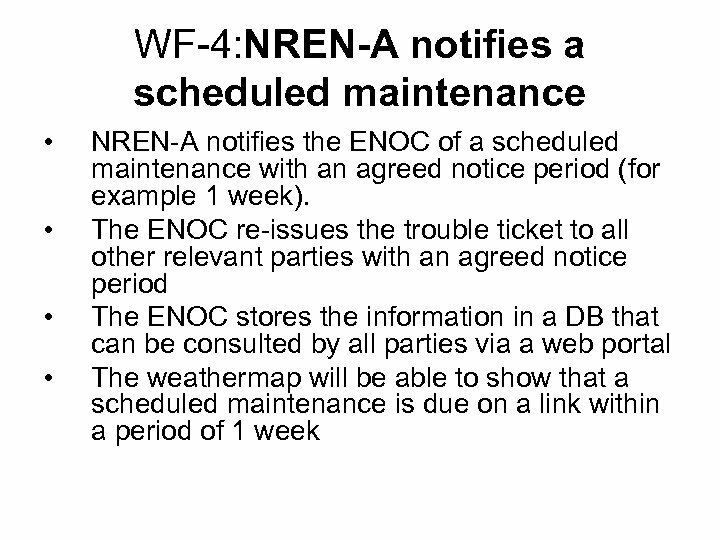 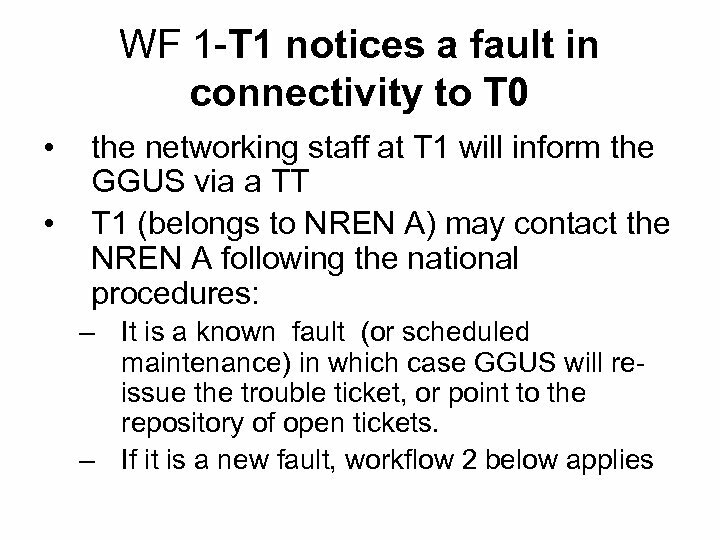 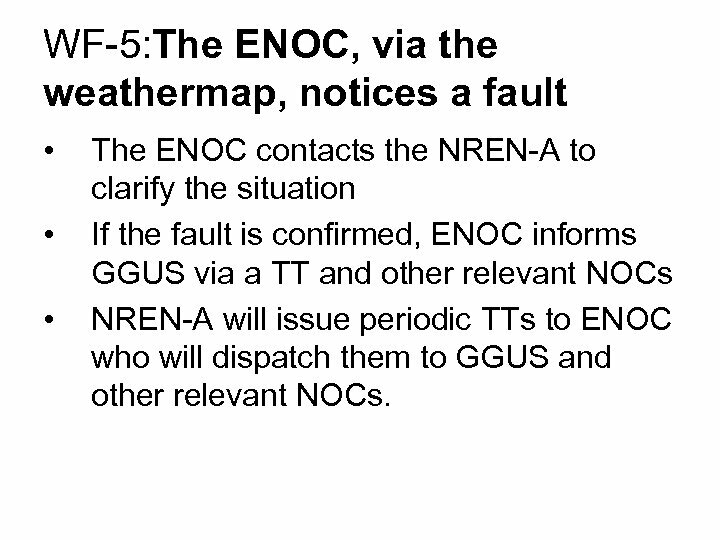 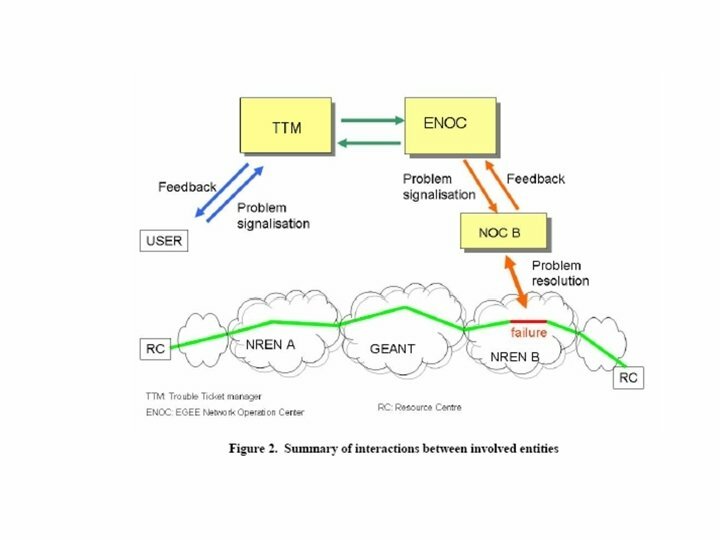 WF-5: The ENOC, via the weathermap, notices a fault • • • The ENOC contacts the NREN-A to clarify the situation If the fault is confirmed, ENOC informs GGUS via a TT and other relevant NOCs NREN-A will issue periodic TTs to ENOC who will dispatch them to GGUS and other relevant NOCs. 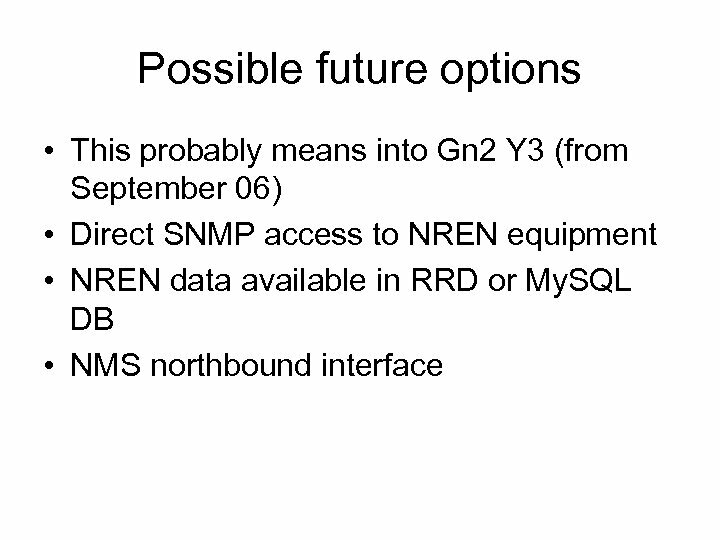 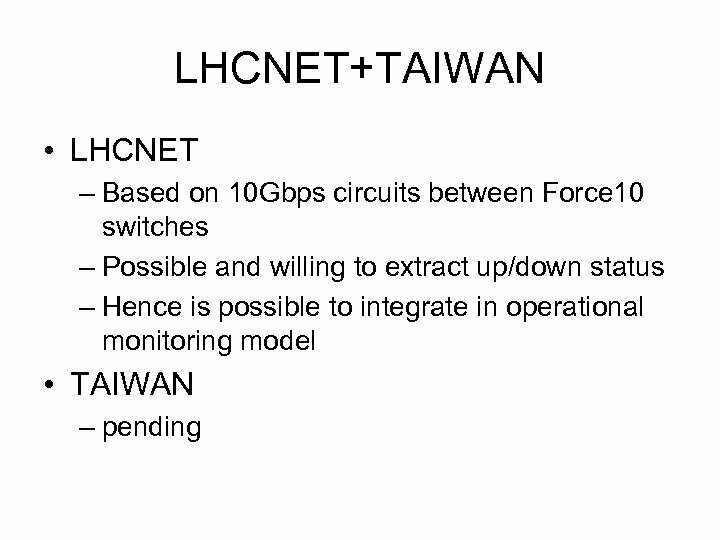 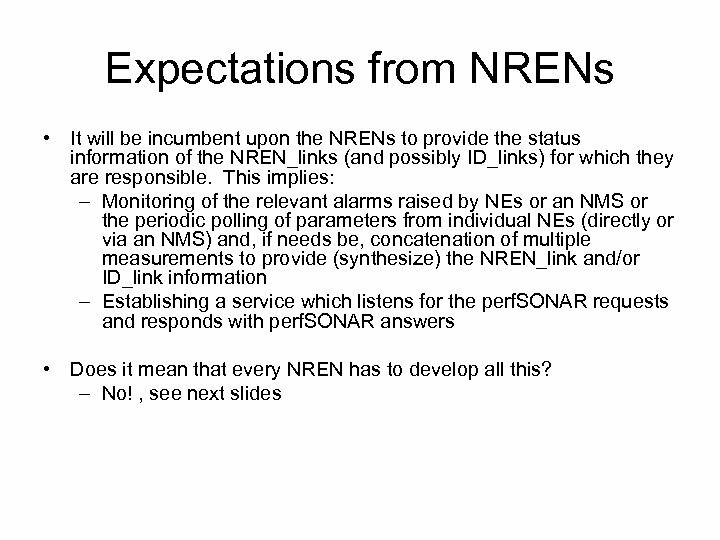 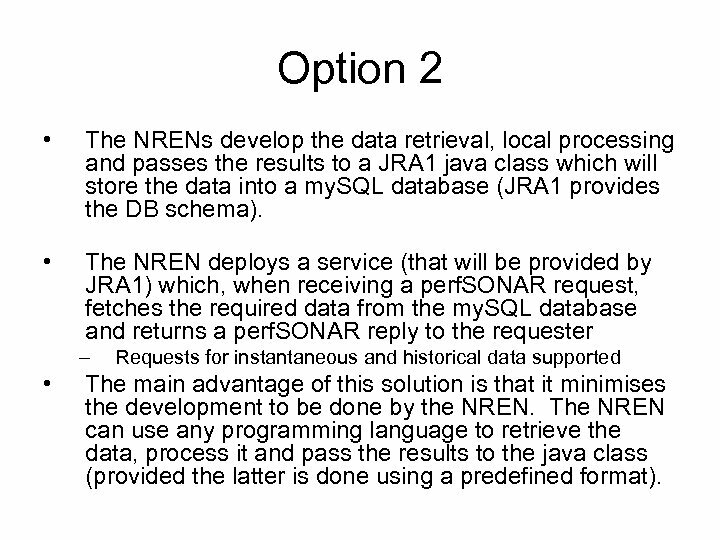 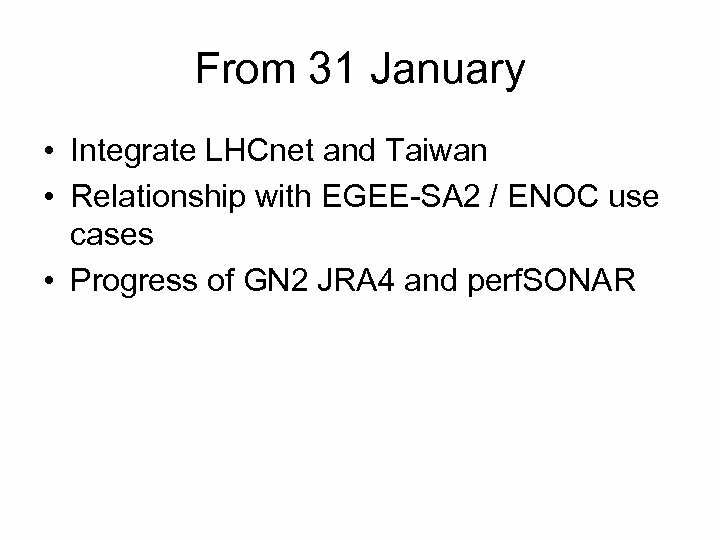 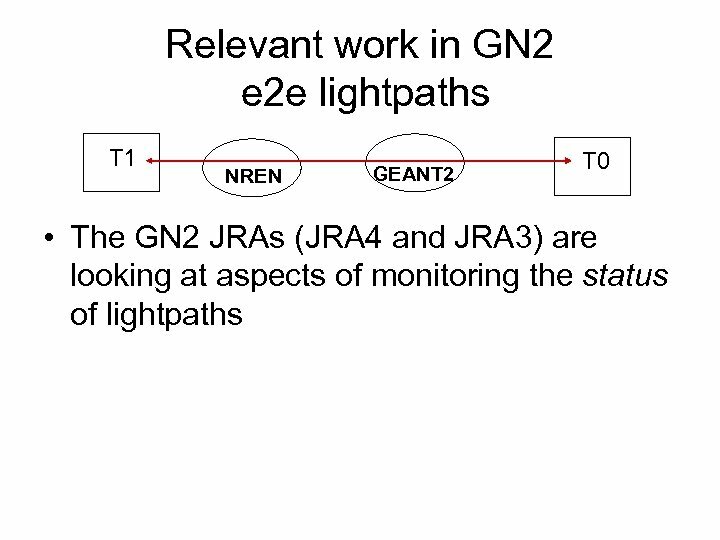 Option 2 • The NRENs develop the data retrieval, local processing and passes the results to a JRA 1 java class which will store the data into a my. 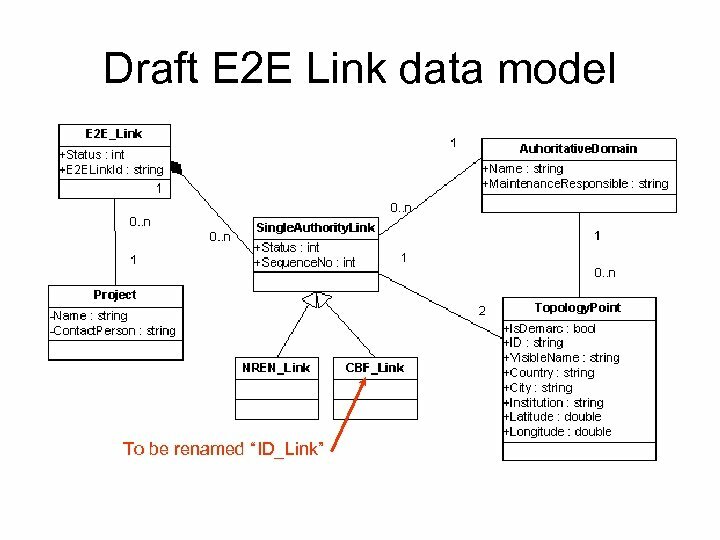 SQL database (JRA 1 provides the DB schema). 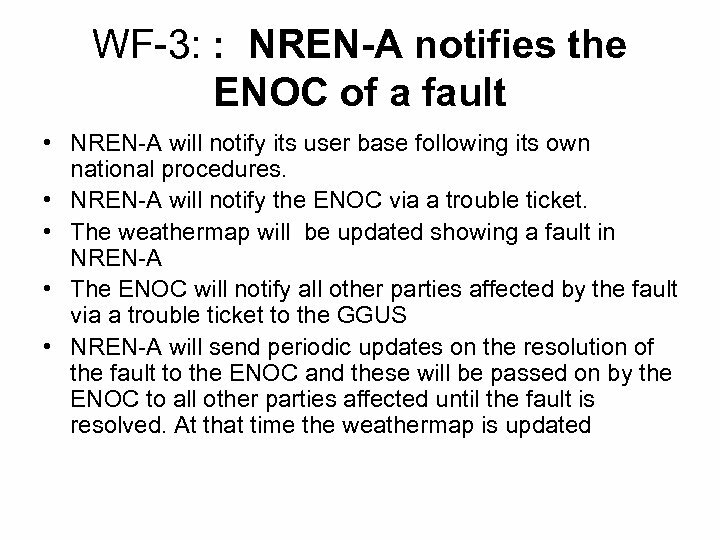 • The NREN deploys a service (that will be provided by JRA 1) which, when receiving a perf. 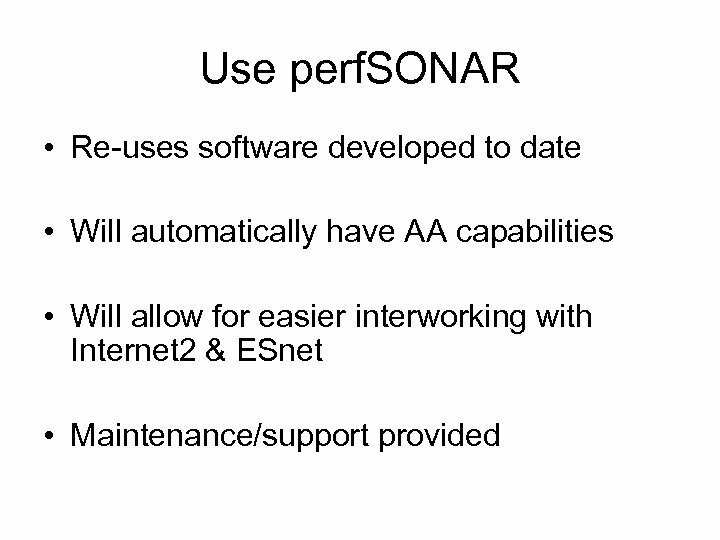 SONAR request, fetches the required data from the my. 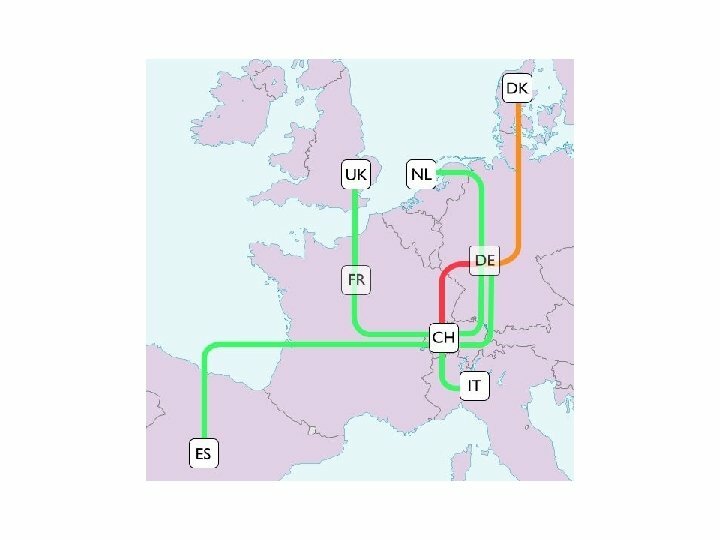 SQL database and returns a perf. 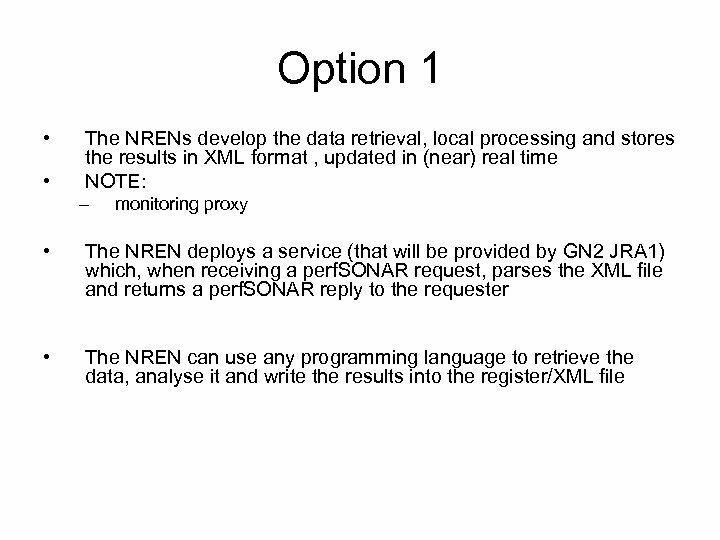 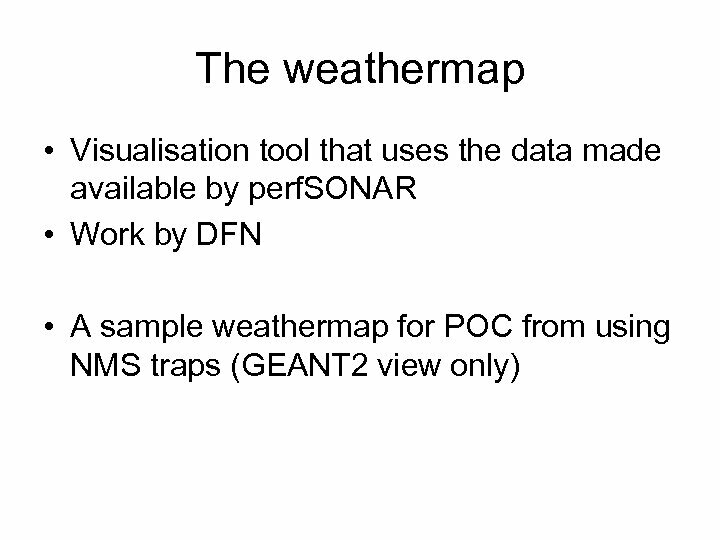 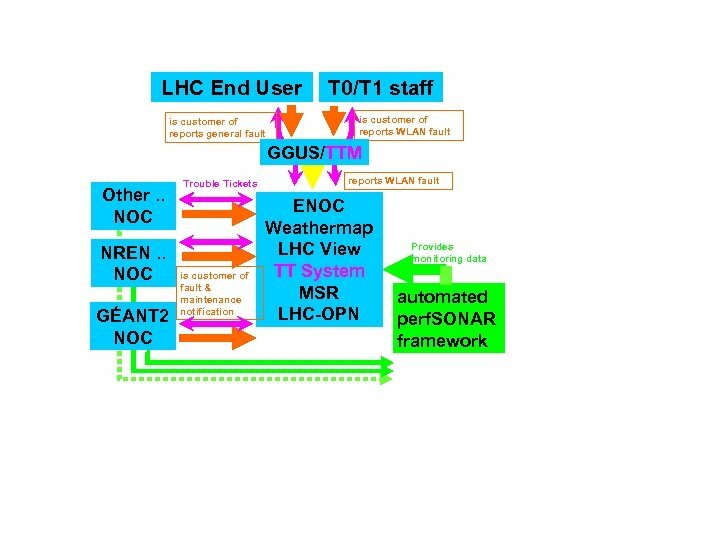 SONAR reply to the requester – • Requests for instantaneous and historical data supported The main advantage of this solution is that it minimises the development to be done by the NREN. 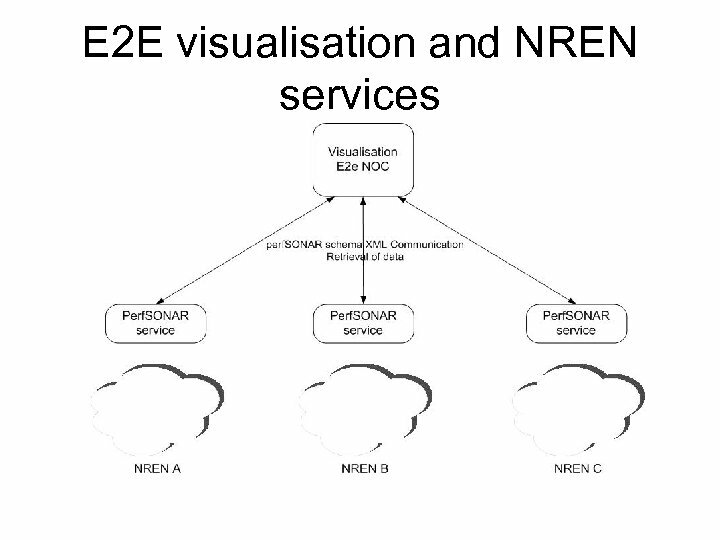 The NREN can use any programming language to retrieve the data, process it and pass the results to the java class (provided the latter is done using a predefined format).